It’s no secret; the laws surrounding the cannabis industry are changing at a rapid rate. And while federal laws still prohibit the sale of marijuana nationwide, states like California, Colorado, and 7 others are seeing the economic benefits of legalization, especially with the increase of cannabis testing facilities. 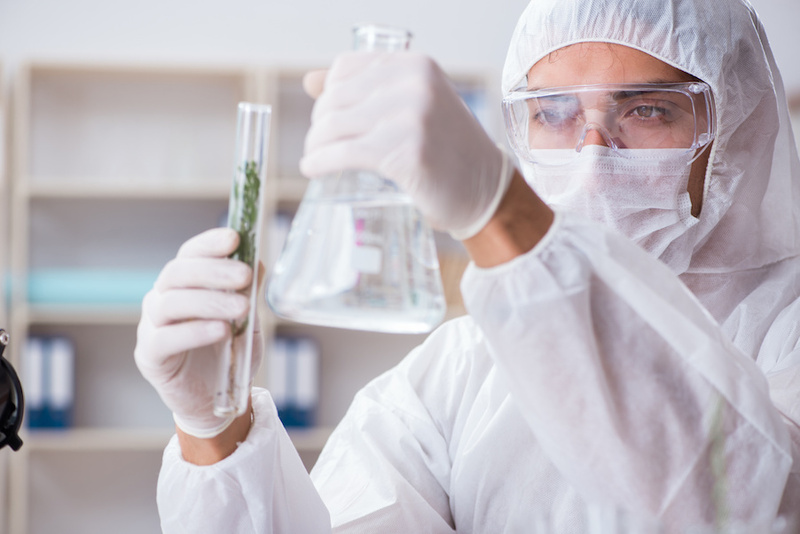 If you’re planning to launch a cannabis testing lab of your own, there’s a few essential pieces of equipment needed to produce consistently reliable results. In this cannabis equipment guide, we’ll not only break down the common testing procedures within the cannabis industry, but also the tools and equipment needed for starting out. Description: This testing procedure involves the extraction of active ingredients from cannabis via the use of solvents such as carbon, ethanol, butane, dioxide, water, and additional materials. This is a crucial component to achieving higher purity levels and increases the efficiency of extraction overall. From the manufacturer: Organic Volatile Impurities (OVIs), also referred to as residual solvents or trace level chemical residue are analyzed using gas chromatography with a flame ionization detector (FID) and a headspace autosampler. Some of the common solvents and trace residues used include: Acetone, Butane, Ethanol, Heptane, Hexane, Isopropanol, Pextane & Propane. Description: This testing procedure is essentially the quality-control portion of the cannabis lab testing process and ensures that the cannabis in question poses no safety threats before being distributed. It involves statistical sampling, sound assay design and validation, and relevant microorganism testing. From the manufacturer: CFX96TM IVD Real-Time PCR Systems offer the ultimate flexibility in commercial assay selection or rapid assay development in a clinical laboratory setting. The instruments offer precise quantification and target discrimination for up to five targets, with accurate thermal cycler performance and powerful easy-to-use software. From the manufacturer: Our proprietary PathogINDICAtorTM microbial screening test uses quantitative real-time polymerase chain reaction (qPCR) to determine the exact nature and level of each relevant microbial species in a cannabis sample. Our test generates results in hours vs. several days from traditional plating methods, and even send out labs. qPCR technology is a standard tool utilized in the regulated molecular diagnostics industry as well as in the food safety testing industry. Description: This testing procedure analyzes the percentage of cannabinoids contained in the sample being tested and involves gas or liquid chromatography for a range of matrices. Marijuana producers are required to provide potency data on both THC and CBD as both strongly influence the effects of the product. From the Manufacturer: A turn-key solution, complete with a column, mobile phase, certified standards, methods, batches, and reports. Allows for sample submission to reporting in just a few mouse clicks, with easy and minimal workflow for the inexperienced analyst. Description: This testing procedure measures the fragrance and flavor compounds of a cannabis sample. The terpene content is determined through the use of Gas and liquid chromatography, contributing to the samples flavor profile. From the manufacturer: The 5% phenyl equivalent phase provides a boiling point elution order with a slight increase in selectivity, especially for aromatic compounds. The low bleed characteristics, inertness, and durable nature make it the column of choice for environmental analytes (such as semivolatiles, pesticides, PCBs, and herbicides) or anywhere a low bleed non-polar column is required. At Cannabis Equipment Leasing, we have over 20 years of experience in the equipment leasing industry and offer simple, flexible lease structures designed on a per-business basis (no warrants or equity required). Contact us now to discuss your cannabis equipment leasing needs.